The effects of climate change can creep into nearly every aspect of life in heavy-hit areas. They may even limit children's access to education, says Nicholas School of the Environment graduate Heather Randell. "Investments in education are an important pathway out of poverty, yet lack of access remains a barrier," Randall said in a presentation to Nicholas School students and faculty. Randell became interested in the relationship between climate change and education when she visited Ethiopia before pursuing her doctorate. She noticed many school-age kids were working rather than pursuing an education, and began to wonder what factors influence children's time use. Although the UN's Millennium Development Goals and Beyond 2015 aimed to ensure universal primary education for all school-age children, 20 percent of children in Sub-Saharan Africa were still out of school in 2017. 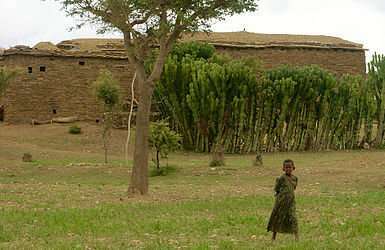 Using data from the Ethiopian Rural Household Survey, Randell found that when children experience milder temperatures and more ample rainfall during their early life, they are more likely to stay in school longer. 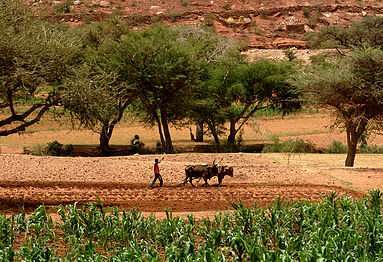 This trend can be attributed to the close ties between the economy and climate in agricultural areas like those in rural Ethiopia. Agricultural economies are inherently dependent on temperature and rainfall. Increased temperature and decreased rainfall lower crop yield, which in turn decreases individual families' incomes. With less disposable income, families are more likely to spend their money on necessities like food rather than on schooling fees. Families are also more likely to pull children out of school so kids can work and contribute to the diminished family income. After finding these patterns in Ethiopia, Randell expanded her research to include regions in the tropics, including Central America, the Caribbean, South America, East Africa, West Africa and Southeast Asia. Each of these regions has variations in their typical rainfall and temperatures, but all are inherently susceptible to climate change because of their location near the equator. Comparing standardized census and climate data from these regions, Randell found a similar pattern, with increased temperature and changes in rainfall being associated with decreased educational outcomes. This study also found that climate change and its negative effects often outweigh typical advantages that improve educational access, such as parents who have had a longer schooling. Randell concluded her talk by stating that true and lasting change to educational accessibility will only be brought about by policy change. School must be less expensive and more accessible, and more importantly, livelihood diversification must be taught and encouraged. 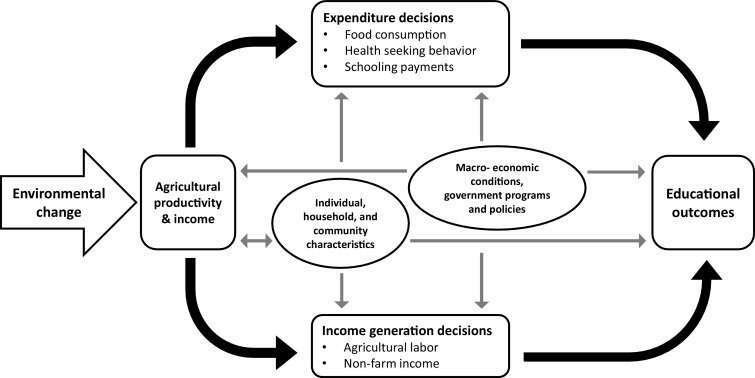 Families must learn how to generate income in ways other than agriculture so that their income and familial decisions are more resilient to climate variability.